This is the Curare 60 listing page, here you can download the plan, article and see the main thumbnail and extra images. This is a remix of various version of the legendary Curare as it appeared along the years. The idea is to provide a clean drafting of this model incorporating most of the original design as well as some alternatives. Two main sheets and parts layout are provided. The main sheets show standard built-up wings. - Original horizontal stabilizer, with semi-spars. - 0 - 0 thrust firewall and plywood doublers. - Fully spared horizontal stabilizers. - 3deg. down - 2deg. right thrust firewall and doublers. I have not yet built any models from these sheets, and as always, there is no guarantee if they are accurate. Use them at your own risk. These are the details for the "Curare 60" plan. If you would like to become a plan editor and help us to edit the attributes of all the plans in the website please click the "Edit Attributes" button below. 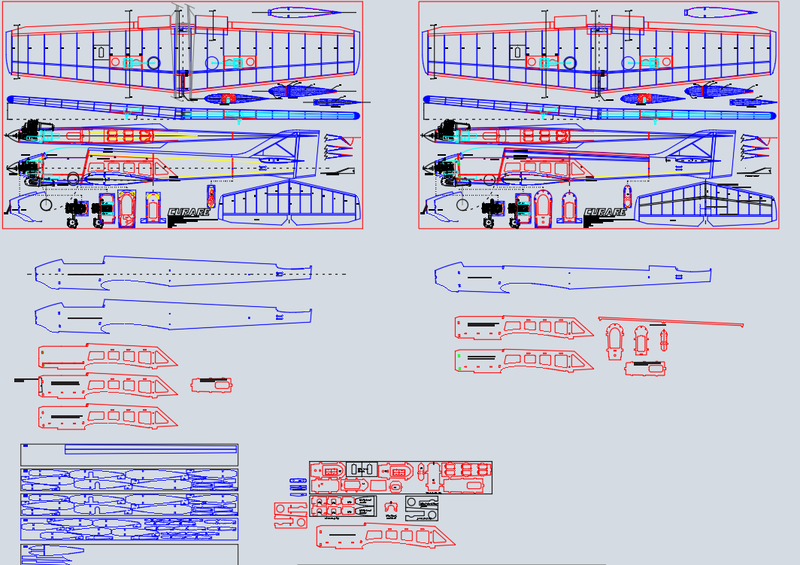 This plan is 1.9 MB and was shared by our member Mlucena on 17/03/2019 23:45 in the CAD Wood Model Airplane Plans category. Mlucena has spent time working on this plan so you can have it now, you can always leave him an appreciation message. Mlucena will surely like to see what you have build from his plans... You can share your builds at our Forum under the Build Logs section.